In 2015, the United Nations Industrial Development Organization (UNIDO) launched a cooperation program with the Arab Industrial Development and Mining Organization (AIDMO), the Swedish International Development Cooperation Agency (Sida), and the League of Arab States (LAS). UNIDO started implementing the regional project Arab Food Safety Initiative for Trade Facilitation (SAFE) funded by (Sida), and in collaboration with LAS, AIDMO and the Arab Organization for Agricultural Development (AOAD) with the key objective to facilitate regional trade in food/agri-based products and improved integration through strengthening the regional coordination and harmonization mechanisms on conformity assessment and Food Safety systems following international best practices. As Egypt has taken major steps in line with its ambition of reforming the country’s food safety regulatory framework, one of the key achievements was the Egyptian National Food Monitoring Program (NFMP). 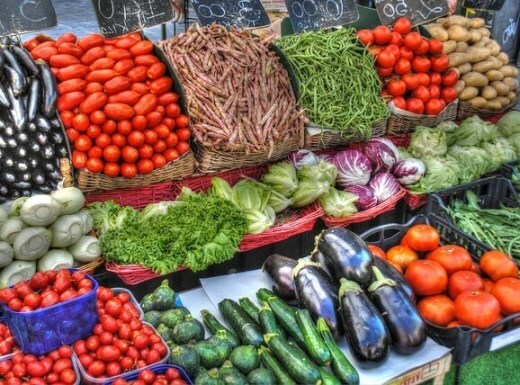 One of the aims of the NFMP is to evaluate the current situation concerning the pesticide residue levels in many types of fruits, vegetables, herbs and spices that are produced and consumed in Egypt to assess the compliance with the statutory maximum limits and to estimate the possibilities of consumers’ exposure to the harmful intake of pesticides. UNIDO has an agreement with Egypt which aims to support the country in addressing its food safety challenges at the national level. Due to its network of laboratories covering the business in five continents, equipped with the required cutting-edge technology for testing services, and accredited with the maximum level of accreditation, AGQ Labs was chosen by UNIDO to provide the technical assistance in the implementation of a full monitoring program of pesticide residue analysis and testing. This monitoring program is established based on analyzing samples of foodstuffs of plant origin in order to monitor the levels of pesticide residue in these foodstuffs. AGQ Labs is working through its local team in Egypt to provide the Agrofood sector with pesticide residue testing services as one of the main tests required for food safety monitoring. Do not hesitate to contact AGQ Labs in Egypt for further information about our Food Safety and Agronomy analytical services.